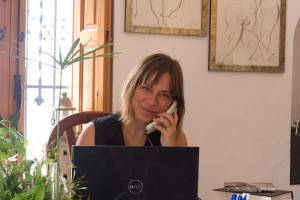 I believe consultation with the client to be an essential part in the translation process. From the moment the client commissions a job to the point of completion I encourage continuous consultation, review and evaluation of the project’s progress. Expertise, professionalism and communication result in a perfect outcome. All translation projects start with an analysis and planning stage which take into account elements related to the type of text like the readership of the target language, the style, linguistic nuances, etc. The most suitable translation tools, glossaries and other reference material are selected to guarantee terminological and stylistic consistency. The translations are done accurately, carefully and to the highest standard. All translations are revised and proofread and can be certified on request. Call me on any of the numbers below. Drop me an e-mail letting me know what you need.